I have a very old book written by former Illinois Governor, Thomas Ford (1800-1850), “A History of Illinois,” which contains gems of wisdom. Amazing observation. I have discovered by personal experience that this lesson applies to Biblical discussions as well. I have, on numerous occasions, witnessed the ostracization of a person for merely changing views after further Biblical research. Like the persecuted in Ford’s above narrative, the Believer who maturely refines his views to line up with Scripture, as he understands it, is labeled a heretic or a flip-flopper by those who put party over principle. And like the party faithful in Ford’s story, those who ostracize are motivated by fear and insecurity. Ostracization over differences of opinion is the method of the fearful, the insecure, the selfish, and the stubborn. God forgive me for having committed this sin myself! Help me to never do it again! How often do people adopt certain beliefs before they’ve studied the Bible? How often do people“believe” something just because a friend does, or a group of friends? 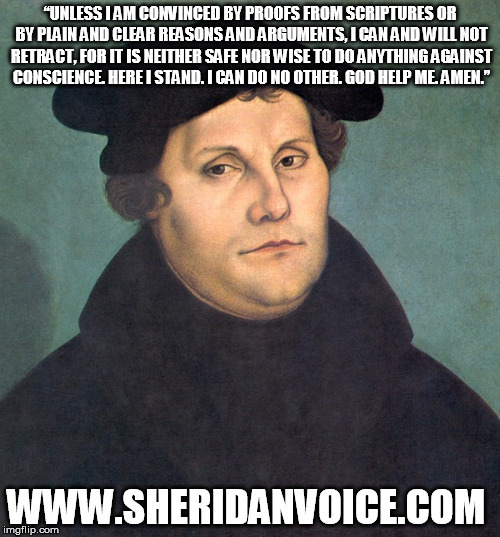 How often is our “unflinching faith” nothing more than stubbornness, or worse, resistance to revealed truth? If you are engaging with someone with whom you disagree, please remember how ignorant you once were, and may still be. I have discovered by experience that there are good men on both sides of issues, a fact which should teach us to be moderate, honest, kind, and sincere when expressing our opinions – even if convinced you are in the right. Too often we characterize those who disagree with our opinions as enemies. This should not be, it’s the easy way out. Plus, and here I speak with experience, the sorrow you cause to others – AND THEIR FAMILIES – is cruel. “For the commandment is a lamp; and the law is light; and reproofs of instruction are the way of life” (Proverbs 6:23). Far from being wishy-washy, we are actually being driven to God’s Word for daily instruction and correction. Humility, motivated by true love, will enable us to conduct ourselves through disagreements honorably. After all, we are far from perfect knowledge. 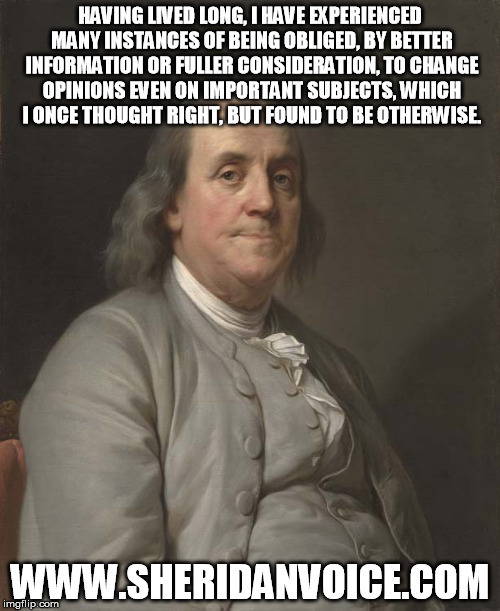 Benjamin Franklin once encouraged his arguing friends to doubt their own infallibility. The older I grow, the more inclined I am to doubt my own judgment, and to pay more respect to the judgment of others. Humility, a relentless desire to search for truth wherever it may lead us, a willingness to change when change is called for, and the ability to present our beliefs and opinions in such a way that will not disgrace the cause of truth – these are some of the greatest needs of our day. Think about how many truly good ideas were lost or forgotten because the promoters of those ideas disgraced the cause of truth by their behavior in word or deed. 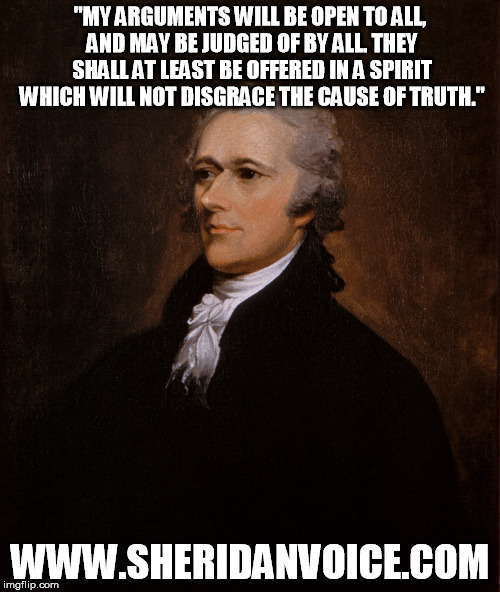 Those who value truth adorn it with good character – they never want to get in the way of truth.